If you’ve clicked on this post, it’s probably because you’re thinking of booking an activity holiday but are not sure where to start. With so much to choose from these days it can be a daunting prospect, so we have put together some suggestions for some of our favourite adventure holidays; whether you are travelling solo, with your family or as part of a group we have something to suit your needs. Do you want to join in with a group of like-minded individuals or go it alone and do your own thing? An organised group itinerary, but still with some free time for yourself, this can be a good solution for solo travellers, take a look at this multi-sport holiday around the Elafiti islands close to Dubrovnik. Go sea kayaking, cycling and hiking around Sipan, Lopud and Kolocep islands with a small group of between 4 and 16 people. Other travellers range from couples and families, to fellow solo travellers. While there is a fixed itinerary on 4-5 of the days, you still get some time to yourself to explore or lie on the beach. On the other hand if time to yourself is what you need, why not try a self-guided walking holiday? The itinerary is fixed but your luggage is taken care of and you can stop off wherever you like on the route – this walking break in Istria has shorter and longer routes on most days so you can tailor it to suit you. Flexibility is key for families, finding activities that everyone wants to do isn’t always easy. These breaks leave you some choice as to when and which activities you take part in, and both can be tailor-made to suit your needs. 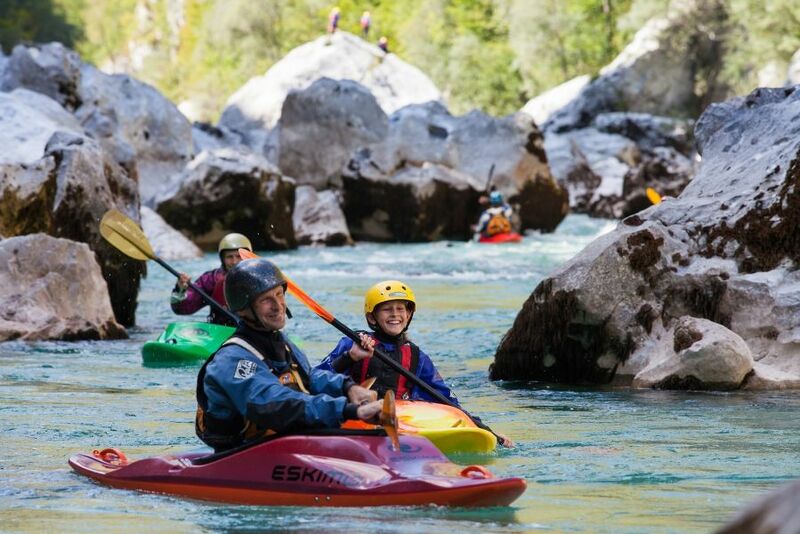 Stay near Lake Bled with some fun activities for families like kayaking, summer sledging and entry to the family adventure park on this flexible lakes & mountains holiday in Slovenia. Short multi-activity break in the heart of Croatia – stay in the Croatian countryside and go rafting, bike riding and head to the local adventure park - recently featured in the Guardian's '20 of the best activity holidays in the UK and Europe'. Looking to spend some quality time with your other half? Try these breaks for the right balance of activities and down time. Take a short multi-activity break on romantic Lake Garda including cycling, paddleboarding and canyoning activities. In your free time you can take a boat trip on the lake, head to nearby Sirmione or Verona for some sightseeing, or just relax near the hotel pool. Alternatively head to Omis on the Croatian coast for this fun short adventure break including zip-lining, rafting and canyoning. If you are booking a group holiday, be it a corporate team-building trip, or a stag/hen weekend, then we can help to put together a fantastic break that will be remembered for a long time to come. Our Dolomites adventure break can be tailor-made to suit your requirements, so you choose the number of nights and which activities would best suit your group, from team-building activities to adrenaline fuelled excursions, we can put together a fantastic itinerary. Activities include white water rafting, canyoning, tarzaning, canoeing, hiking and mountain biking, as well as team-building activities such as orienteering. If you like the sound of these, then have a look at our full range of active holidays, from walking, cycling and horse riding, to multi-activity breaks – we offer some of the top adventure holidays in Europe. Any questions? Feel free to contact us.